This opsonophagocytic killing assay is used to compare the ability of phagocytic immune cells to respond to and kill bacteria based on different treatments and/or conditions. Classically, this assay serves as the gold standard for assessing effector functions of antibodies raised against a bacterium as opsonin. Paschall, A. V., Middleton, D. R., Avci, F. Y. Opsonophagocytic Killing Assay to Assess Immunological Responses Against Bacterial Pathogens. J. Vis. Exp. (146), e59400, doi:10.3791/59400 (2019). A key aspect of the immune response to bacterial colonization of the host is phagocytosis. An opsonophagocytic killing assay (OPKA) is an experimental procedure in which phagocytic cells are co-cultured with bacterial units. The immune cells will phagocytose and kill the bacterial cultures in a complement-dependent manner. The efficiency of the immune-mediated cell killing is dependent on a number of factors and can be used to determine how different bacterial cultures compare with regard to resistance to cell death. In this way, the efficacy of potential immune-based therapeutics can be assessed against specific bacterial strains and/or serotypes. In this protocol, we describe a simplified OPKA that utilizes basic culture conditions and cell counting to determine bacterial cell viability after co-culture with treatment conditions and HL-60 immune cells. This method has been successfully utilized with a number of different pneumococcal serotypes, capsular and acapsular strains, and other bacterial species. The advantages of this OPKA protocol are its simplicity, versatility (as this assay is not limited to antibody treatments as opsonins), and minimization of time and reagents to assess basic experimental groups. The opsonophagocytic killing assay (OPKA) is a critical tool for linking alterations in bacterial structure or function to subsequent changes in immune response and function. As such, it is frequently used as a complementary assay to determine immune-based efficacy of antibody treatments, vaccine candidates, enzyme optimization, etc. While in vivo assays are necessary to determine effective clearance or protection in a bacterial infection model, the OPKA can be used to assess immune contribution to bacterial cell death at the most basic components: bacteria, immune cells, and experimental treatments. Previous studies have shown that OPKAs can be modified and used for a variety of bacteria and serotypes, including Streptococcus pneumoniae1, Staphylococcus aureus2, Pseudomonas aeruginosa3. Furthermore, these optimized assays can be used to assess different experimental treatments, including the ability of an enzyme to make the bacterium more accessible to complement-mediated immune cells4 and antibody treatments to improve opsonization5. Classically, OPKA assay has been successfully used in basic and clinical research settings as a powerful indicator for protection induced by pathogen-specific antibodies6,7,8,9. Different types of immune cells may be used for assessment of opsonophagocytic killing. One commonly used phagocytic population is the HL-60 human leukemic cell line. This cell line can be kept as inactivated promyelocytes in culture; however, they can be differentiated into various activated states via different drug treatments10,11. Treatment of HL60 with N,N-dimethylformamide differentiates the cell line into activated neutrophils with strong phagocytic activity11. While HL-60 cells have been optimized and are frequently used for these phagocytosis assays10, other primary polymorphonuclear leukocytes can be used as the immune arm of the experiment12. Additionally, these assays can be simplified13 or multiplexed14 to look at multiple antibiotic-resistant strains of the bacteria to be tested. The multiplexed method has been made more feasible through the development of software that can efficiently count bacterial colony forming units (CFUs) per spot on an agar plate15. 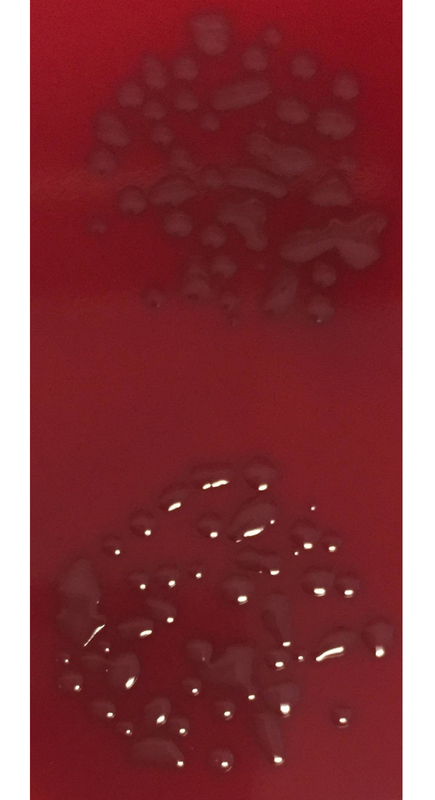 Here, we describe a streamlined method using one bacterial strain, HL-60 cells, baby rabbit complement, and blood agar plates. With this method, multiple treatments can be assessed quickly to address specific research questions on how the innate immune response to bacterial infection can be modulated. Prepare HL-60 cell culture media composed of 500 mL RPMI with L-glutamine and 50 mL heat-inactivated fetal bovine serum. Do not add antibiotics as this may affect the differentiation of the HL-60 cells. For propagation/maintenance of HL-60 cells, culture 5 x 106 cells in 10 mL of HL-60 cell culture media in 75 cm2 vented flasks at 37 °C and 5% CO2. Passage cells every 3−4 days to maintain optimal cell concentrations. NOTE: The cell concentration should not exceed 5 x 106/mL. Generate working stocks of HL-60 cells by aliquoting approximately 1 x 106 cells/mL in HL60 culture media with 10% dimethyl sulfoxide (DMSO) into 1 mL cryogenic tubes. NOTE: Working stocks may be stored at -80 °C. The master stock should be stored at -120 °C. Differentiate HL-60 cells by culturing 1.5 x 107 cells in 15 mL of HL-60 cell culture media with 0.6% N,N-dimethylformamide (DMF) at 37 °C and 5% CO2 in sterile filter-capped 75 cm2 flasks for 3 days prior to OPKA. Validate that the HL-60 cells have been successfully differentiated and are appropriate for use in the OPKA assay by testing viability and cell surface markers according to established flow cytometry protocols16,17,18,19. After differentiation, harvest HL-60 cells and stain approximately 1 x 104 cells with fluorescently-conjugated antibodies/stains for CD71, CD35, annexin V, and propidium iodide. NOTE: Differentiated cells should be ≥65% viable, ≥55% CD35+, and ≤20% CD71+ as determined through established validation protocols14 (Figure 1). Prepare 50 mL of sterile opsonization buffer B (OBB) by mixing 42.5 mL of sterile 1x phosphate-buffered saline (PBS) with Ca2+/Mg2+, 5 mL of heat-inactivated fetal bovine serum, and 2.5 mL of 0.1% sterile gelatin. Store at 4 °C. Obtain baby rabbit complement and store at -80 °C. Obtain or prepare bacterial culture plates (i.e., 15 x 100 mm2 5% sheep’s blood agar plates). Obtain a stock of the bacterial strain(s) to be tested. NOTE: For this protocol, serotype 3 Streptococcus pneumoniae (WU2, generously provided by Dr. Moon Nahm) is used. Grow the bacterial strain in an appropriate broth (i.e., Todd-Hewitt broth + 0.5% yeast extract for this WU2 strain) for approximately 2−4 h at 37 °C. NOTE: The optical density at 600 nm (OD600) of the culture should be between 0.6 and 0.8. Pellet the bacteria by centrifugation at 6,000 x g for 2 min and resuspend the cells in 10−30 mL of 15% glycerol in the appropriate broth. Aliquot the bacterial culture (500 µL per aliquot) into sterile 1.5 mL centrifuge tubes and store at -80 °C. Thaw out one vial of bacterial stock in a 37 °C water bath. Pellet the bacterial cells and resuspend in 500 µL of OBB under sterile conditions. Prepare different dilutions of the bacterial stock in OBB (i.e., 10 µL of no dilution, 10 µL of 1:10, 10 µL of 1:100, etc.). Perform the OPKA assay (sections 4–6, including HL-60/complement co-culture) as described below using various dilutions of the untreated bacterial stock. Culture the plates overnight at 30 °C (no CO2). NOTE: The temperature 30 °C is specific for WU2 to prevent overgrowth; other strains/serotypes may grow optimally at 37 °C. Count the colonies for each dilution of untreated bacterial stock co-cultured with HL-60 cells and complement. Determine which dilution of bacteria yields the optimal number of countable colonies (approximately 80−120 CFUs for untreated bacteria co-cultured with HL-60 cells). Note this dilution for future OPKAs involving this bacterial stock. Thaw one tube of bacterial stock prepared in step 3.3. Pellet bacteria (6,000 x g for 2 min) and resuspend cell pellet in OBB at optimal dilution as determined in step 3.6. Pipette 10 µL of resuspended bacterial dilution per well in a round-bottom 96-well cell culture plate. Add 20 µL of appropriate antibody or drug treatment to each experimental well in duplicate. NOTE: In this protocol, a serotype-specific antibody generated in mice is added as treatment X and a glycoside hydrolase enzyme known to degrade the serotype 3 polysaccharide capsule is added as treatment Y (Figure 2)4,20. For control wells, use 1x PBS or OBB, depending on the buffer used for treatment wells. Shake the sample plate at approximately 90 rpm for 1 h at room temperature. Adjust these conditions depending on the optimal temperature or shaking conditions of the treatments being tested. Prepare HL-60 cells by harvesting the HL-60 differentiated cells that are treated with DMF three days prior (see step 1.4) into 15 mL conical tubes. Pellet the cells (500 x g, 3 min), discard the supernatant, and wash with at least 10 mL of 1x PBS. Pellet the washed cells (500 x g, 3 min), discard the supernatant, and resuspend the cells in OBB (start with 1 mL OBB and adjust for a final concentration of 1 x 107/mL after cell counting). Add baby rabbit complement (sterile, undiluted baby rabbit serum, age 3−4 weeks) at a 1:5 final volume. NOTE: The final concentration of the HL-60-complement mixture should be 1 x 107/mL. If testing complement dependency, a second solution containing active HL-60 cells with heat-inactivated complement may be used (complement may be inactivated by incubating in a water bath at >55 °C for at least 30 min). After 1 h bacterial culture is complete (step 4.4), divide each sample (i.e., 10 µL of each 30 µL sample well into two new wells) into duplicate wells for two groups (i.e., use only 20 µL of the original 30 µL co-culture to account for pipetting error): one set will be co-cultured with HL-60-complement and one will include bacteria only. Add 50 µL of the HL-60-complement mixture (from step 5.3) to each experimental set of wells (delegated +HL-60); add 50 µL of OBB alone to the wells of bacteria only (delegated -HL-60). NOTE: For this example, approximately 800 bacterial CFUs are used for the initial co-culture with 5 x 105/50 µL HL-60 cells. If this multiplicity of infection is too high or too low as indicated by final colony numbers, adjust the initial bacterial dilution as opposed to the HL-60 cell count. Shake the 96-well plate at 37 °C for 1 h (no CO2). Dilute each well 1:5 with OBB, so that each sample has a volume of at least 50 µL. Pipette 50 µL of each sample directly onto a designated area of a bacterial culture plate, ensuring adequate spacing between samples. For 15 x 100 mm2 round agar plates, pipet approximately 4 samples onto one plate. Cover and allow samples to dry for approximately 15 min at room temperature. Invert plates and culture overnight at 30 °C (no CO2). Alternatively, culture plates in anaerobic jars to test whether anoxic conditions affect the bacterial growth or to control for morphology. After overnight culture, count the colonies in each designated sample area. Analyze data by comparing the number of live cells in each set to the corresponding control and/or samples that do not receive HL-60 cell co-culture (indicative of 100% cell survival, 0% cell killing). Validation of HL-60 differentiation should be performed before starting the OPKA. This can be accomplished using flow cytometry to determine the extracellular expression of CD11b, CD35, CD71, and annexin V (Figure 1). Propidium iodide can also be used as a viability marker. After being treated with DMF for 3 days, expression of CD35 should be increased (≥55% of all cells) and expression of CD71 should be decreased (≤20% of all cells). The percentage of annexin V+ and propidium iodide (PI+) cells together should be <35% to ensure sufficient cell viability. If these percentages do not meet the minimum requirements, the culture conditions should be adjusted as described in the Discussion. The number of CFUs obtained from step 6.5 can be used to compare the bacterial cell survival of different groups compared to the untreated control group (100% cell survival) as shown in Figure 2. For example, the average counts obtained from wells that received no treatment but were co-cultured with HL-60 should be relatively close in number to the cells that received no treatment and no co-culture of HL-60, which would be indicative of 100% cell survival, or 0% cell death. 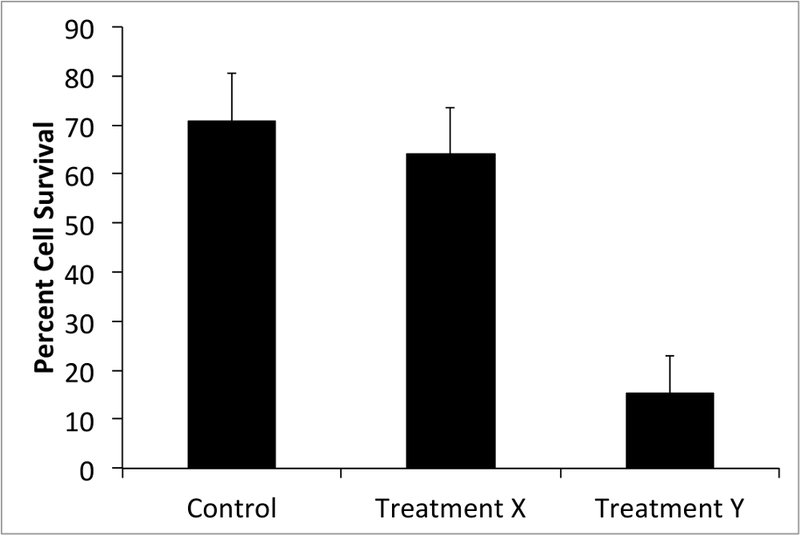 With an effective treatment, the numbers of colonies should be more different between HL-60 co-culture and no HL-60 cells (Figure 2 and Figure 3). Larger differences between HL-60 and no HL-60 sets are indicative of more efficient phagocytosis. However, the treatment may actually improve bacterial cell growth in the set that is not co-cultured with HL-60 cells. This difference in treated and untreated samples should be noted. 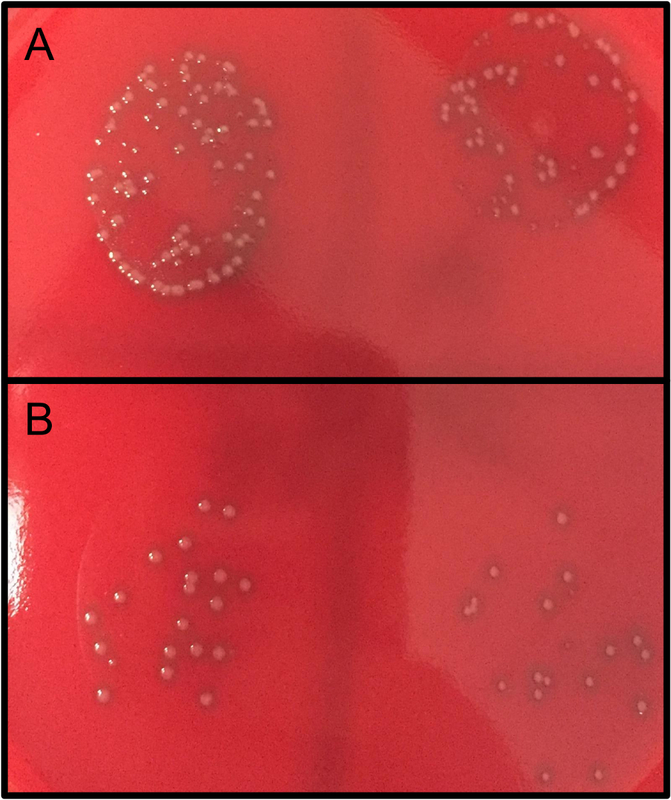 If the bacterial dilution is not optimized (step 3.6) or the colony growth is not carefully observed after plating (step 6.5 or see Discussion), overgrowth of the colonies may prevent accurate counting of colonies (Figure 4). 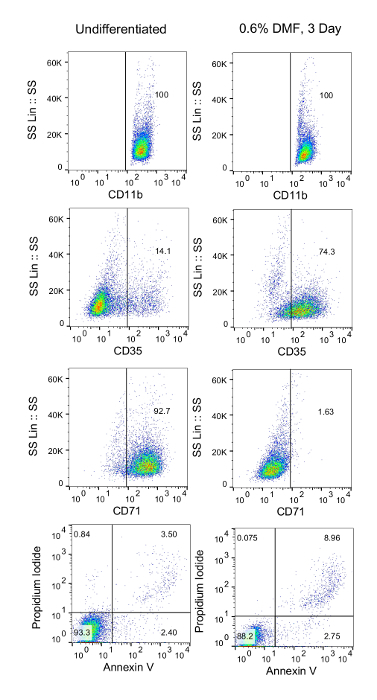 Figure 1: Validation of HL-60 cell differentiation via flow cytometry. 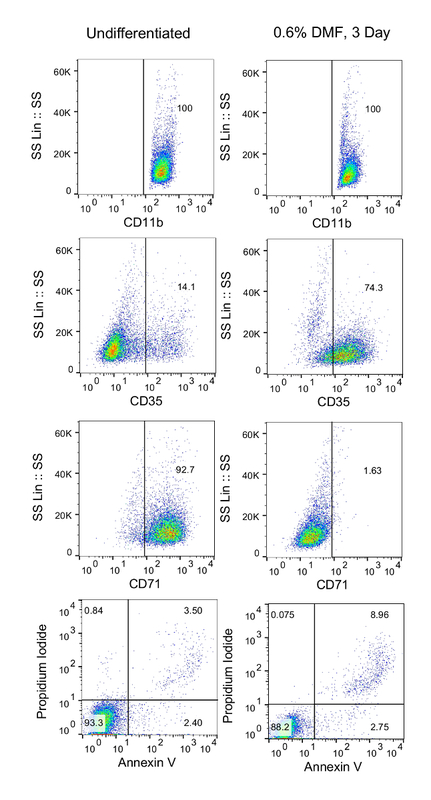 Differentiated HL-60 cells were harvested, washed, and resuspended in 1 x 105 cells/mL PBS. Cells were then aliquoted into 12 wells (100 µL/well) in a 96-well plate. Cells were then stained with fluorescently conjugated anti-CD35, anti-CD71, annexin V, and propidium iodide. Unstained cells or cells stained with fluorescently conjugated isotype antibodies were used as controls. Please click here to view a larger version of this figure. Figure 2: Treatment Y improves HL-60-mediated cell killing of bacteria. S. pneumoniae samples were treated with treatment X (antibody) or treatment Y (enzyme). OPKA was performed according to the protocol and bacterial CFUs were counted in duplicate. Samples that were not treated with HL-60 cells were used as a control (100% cell survival). Shown are the average percentages of bacterial CFUs in the HL-60 treated groups compared to the corresponding non-HL-60-treated groups. Bars represent standard error. Please click here to view a larger version of this figure. Figure 3: Bacterial CFUs after OPKA and overnight culture. Bacterial samples were treated and co-cultured without (A) or with (B) HL-60 cells for 1 h at 37 °C. Samples were diluted according to the protocol and plated on blood agar plates overnight at 30 °C (no CO2). Please click here to view a larger version of this figure. Figure 4: Bacterial CFU overgrowth. Bacterial samples were treated and OPKA was performed. Samples were diluted and plated on blood agar plates overnight at 37 °C (no CO2). Accurate assessment of colony numbers cannot be determined as overgrowth of colonies is shown. As 37 °C (no CO2) led to bacterial overgrowth, the incubation temperature for future plates was lowered to 30 °C (no CO2) to maintain countability of the colonies. Please click here to view a larger version of this figure. OPKAs serve essential roles in assessing antibody mediated immune responses induced by vaccinations6,8. The main significance of this simplified OPKA is the adaptability in the conditions to be tested (i.e., antibodies, enzyme treatments, etc.). In this sense, while this assay can be used to test the contribution of opsonins (i.e., antibodies) in phagocytosis, it can also be used to assess ways to overcome virulence factors (i.e., capsular polysaccharides) that normally inhibit phagocytic pathways. Minimizing the number of steps that are typically used in a multiplexed OPKA potentially minimizes the chances for technical errors that can affect the experimental results and reduces the amount of troubleshooting and optimization for obtaining usable data. As this protocol is suited for variations to treatment conditions, it allows for a great deal of versatility. Pre-establishing the assay through culture of HL-60 and establishment of bacterial stocks is important to prevent extraneous optimization steps when performing the OPKA. Time must be dedicated to making sure all reagents and cell types are ready and functional before the experiment is performed. These steps include propagating the HL-60 cell line in culture (about two weeks), validating that specific concentrations of DMF effectively differentiate the HL-60 cells (about one week), and establishing contaminant-free and optimized bacterial stock dilutions (about two weeks). Some steps of this protocol are critical for obtaining countable colonies and adequate data. This protocol uses HL-60 cells as phagocytes due to the ease of using a human cell line that can be maintained in culture and differentiated with relatively few steps. Human peripheral blood mononuclear cells (PBMCs) may also be used; however, obtaining these cells and optimizing the conditions for their use may be more challenging. The HL-60 cells must be differentiated in order to function as phagocytes against the bacteria. To verify differentiation after the 3 day treatment with DMF, flow cytometry should be used to test for the expression of CD11b and CD35 on a majority of the cells before any OPKA is attempted, as discussed in step 1.5. Cell viability should also be verified (preferably with annexin V and propidium iodide staining). If a large number of cells are dead, apoptotic, or undifferentiated as observed with flow cytometry, the 3 day differentiation with 0.6% DMF in RPMI media can be modified (0.4%−0.8% DMF, 2−6 day culture time) until cell viability and differentiation markers are improved. This differentiation should be the first optimization of the OPKA as HL-60 function is critical for effective bacterial killing. We recommend validating HL-60 differentiation before every OPKA experiment. The number of bacterial CFUs (step 3.6) initially dispensed into the 96-well plate (step 4.2) is also critical: dispensing too many cells will make counting difficult and inaccurate (step 6.5) and may decrease the cell death observed from HL-60 co-culture, whereas dispensing too few cells may increase the amount of deviation between duplicates and may not show any countable colonies after HL-60 co-culture. Optimizing the stock dilution is therefore critical, and must be tested with the full protocol, including HL-60/complement co-culture. The importance of complement may also be tested with this protocol by including two sets of samples: one with active baby rabbit complement and one with heat-inactivated complement. HL-60 cells should be co-cultured with both sets, though a bacteria-only set should still be included as a 100% cell survival baseline. For some bacterial serotypes, the morphology of the colonies may make cell counting or visibility problematic. Mucoid serotypes such as type 3 Streptococcus pneumoniae, for instance, can easily overgrow and reduce the CFU counts. This may prove especially problematic when testing treatments that affect the capsule, as overgrowth would be prevented in the treated group but greater number of smaller colonies would be counted. To prevent this discrepancy, control of cell growth is critical. Culturing the plated colonies at 30 °C overnight will likely allow for improved monitoring of bacterial growth and the plates can be removed when all colonies reach distinguishable, countable sizes. Additionally, different agar plates may be used to improve visibility of individual colonies. In this way, this protocol is advantageous as small changes to optimize conditions can thus be used to account for a number of bacterial strains or various treatment options. We thank Dr. Moon Nahm (University of Alabama Birmingham) for his invaluable assistance in establishing OPKA assays in our laboratory. 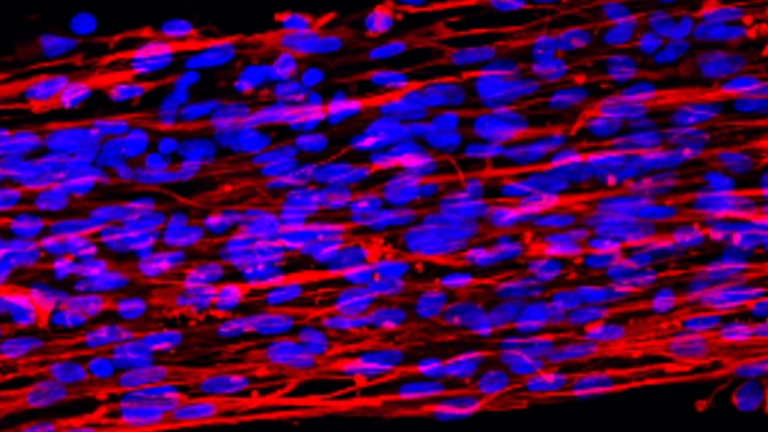 This work was supported by National Institutes of Health Grant 1R01AI123383-01A1 to FYA. Romero-Steiner, S., et al. Standardization of an opsonophagocytic assay for the measurement of functional antibody activity against Streptococcus pneumoniae using differentiated HL-60 cells. Clinical and Diagnostic Laboratory Immunology. 4, (4), 415-422 (1997). Nanra, J. S., et al. Capsular polysaccharides are an important immune evasion mechanism for Staphylococcus aureus. Human Vaccines and Immunotherapeutics. 9, (3), 480-487 (2013). Ishibashi, K., Yamaguchi, O., Shiraiwa, Y., Ogihara, M., Shigeta, S. Combination therapy of Pseudomonas aeruginosa pyelonephritis in neutropenic mice with human antilipopolysaccharide monoclonal antibody and cefsulodin. Journal of Urology. 155, (6), 2094-2097 (1996). Middleton, D. R., Paschall, A. V., Duke, J. A., Avci, F. Y. Enzymatic Hydrolysis of Pneumococcal Capsular Polysaccharide Renders the Bacterium Vulnerable to Host Defense. Infection and Immunity. (2018). Baker, C. J., Noya, F. J. Potential use of intravenous immune globulin for group B streptococcal infection. Reviews of Infectious Diseases. 12, Suppl 4 476-482 (1990). Tian, H., Weber, S., Thorkildson, P., Kozel, T. R., Pirofski, L. A. Efficacy of opsonic and nonopsonic serotype 3 pneumococcal capsular polysaccharide-specific monoclonal antibodies against intranasal challenge with Streptococcus pneumoniae in mice. Infection and Immunity. 77, (4), 1502-1513 (2009). Parameswarappa, S. G., et al. A Semi-synthetic Oligosaccharide Conjugate Vaccine Candidate Confers Protection against Streptococcus pneumoniae Serotype 3 Infection. Cell Chemical Biology. 23, (11), 1407-1416 (2016). Jackson, L., et al. Randomized clinical trial of a single versus a double dose of 13-valent pneumococcal conjugate vaccine in adults 55 through 74 years of age previously vaccinated with 23-valent pneumococcal polysaccharide vaccine. Vaccine. 36, (5), 606-614 (2018). Cywes-Bentley, C., et al. Antibody to a conserved antigenic target is protective against diverse prokaryotic and eukaryotic pathogens. Proceedings of the National Academy of Sciences of the USA. 110, (24), 2209-2218 (2013). Fleck, R. A., Romero-Steiner, S., Nahm, M. H. Use of HL-60 cell line to measure opsonic capacity of pneumococcal antibodies. Clinical and Diagnostic Laboratory Immunology. 12, (1), 19-27 (2005). Collins, S. J., Ruscetti, F. W., Gallagher, R. E., Gallo, R. C. Terminal differentiation of human promyelocytic leukemia cells induced by dimethyl sulfoxide and other polar compounds. Proceedings of the National Academy of Sciences of the USA. 75, (5), 2458-2462 (1978). Melnick, N., Rajam, G., Carlone, G. M., Sampson, J. S., Ades, E. W. Evaluation of a novel therapeutic approach to treating severe pneumococcal infection using a mouse model. Clinical and Vaccine Immunology. 16, (6), 806-810 (2009). Dwyer, M., Gadjeva, M. Opsonophagocytic assay. Methods in Molecular Biology. 1100, 373-379 (2014). Burton, R. L., Nahm, M. H. Development of a fourfold multiplexed opsonophagocytosis assay for pneumococcal antibodies against additional serotypes and discovery of serological subtypes in Streptococcus pneumoniae serotype 20. Clinical and Vaccine Immunololgy. 19, (6), 835-841 (2012). Clarke, M. L., et al. Low-cost, high-throughput, automated counting of bacterial colonies. Cytometry Part A. 77, (8), 790-797 (2010). Aanei, C. M., et al. Database-guided Flow-cytometry for Evaluation of Bone Marrow Myeloid Cell Maturation. Journal of Visualized Experiments. (141), e57867 (2018). Hirz, T., Dumontet, C. Neutrophil Isolation and Analysis to Determine their Role in Lymphoma Cell Sensitivity to Therapeutic Agents. Journal of Visulaized Experiments. (109), e53846 (2016). Rieger, A. M., Nelson, K. L., Konowalchuk, J. D., Barreda, D. R. Modified annexin V/propidium iodide apoptosis assay for accurate assessment of cell death. Journal of Visualized Experiments. (50), 2597 (2011). Blair, O. C., Carbone, R., Sartorelli, A. C. Differentiation of HL-60 promyelocytic leukemia cells: simultaneous determination of phagocytic activity and cell cycle distribution by flow cytometry. Cytometry. 7, (2), 171-177 (1986). Middleton, D. R., et al. Identification and characterization of the Streptococcus pneumoniae type 3 capsule-specific glycoside hydrolase of Paenibacillus species 32352. Glycobiology. 28, (2), 90-99 (2018).